The question now is whether the U.S. Justice Department, which sought the reforms under President Barack Obama, will agree with monitor Merrick Bobb or, under President Donald Trump’s administration, will declare the Police Department has met its obligations. Despite making a “great deal of progress,” Seattle police have yet to comply with some of the key requirements in a 2012 federal consent decree to address excessive force and biased policing, the federal monitor overseeing the court-ordered agreement concludes in a report filed Friday. Merrick Bobb’s findings were submitted to U.S. District Judge James Robart in Seattle, leaving it to the court to determine what constitutes “full and effective” compliance. In anticipation of the report, Robart filed an order late Thursday night directing “all interested parties” to file any comments on the report by Sept. 18. The dominant question now is whether the U.S. Justice Department, which sought the consent decree under President Barack Obama’s nationwide police-reform effort, will agree with Bobb or, under President Donald Trump’s administration, will inform Robart that the Police Department has met its obligations. Attorney General Jeff Sessions has taken a dim view of consent decrees reached during the Obama years, ordering a review of such agreements already in place and signaling a retreat from bringing new cases. It also is unclear what stance the city will take. Ultimately, it will be Robart’s decision. Before Bobb filed his report, the Justice Department and U.S. Attorney’s Office in Seattle filed a motion Friday asking that the parties be given later dates in September and October to submit their comments. The Justice Department could recommend the city be found in compliance, with a two-year phase in which the Police Department would have to prove the reforms have taken hold. 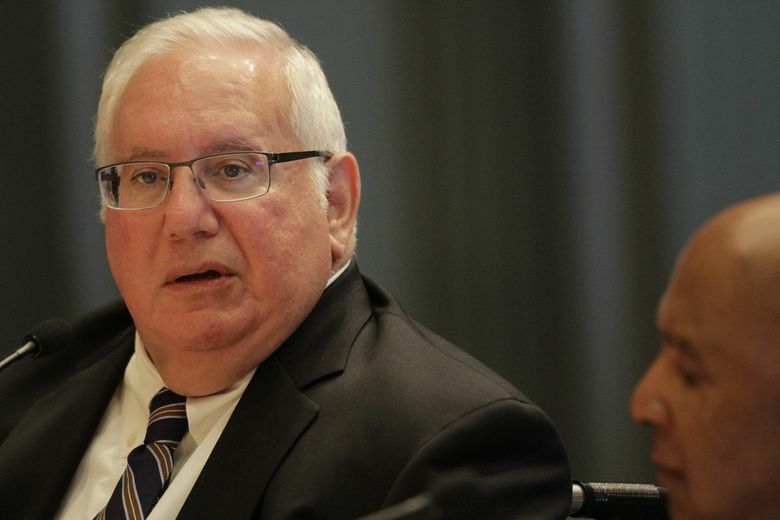 In his report, Bobb notes he has previously found, in 10 earlier assessments of key requirements, that the Police Department has reached major milestones, including dramatic improvements involving use of force and dealing with people in crisis. But important issues remain, including questions surrounding the fatal shooting by two white officers of Charleena Lyles, a 30-year-old African-American mother of four, on June 18, according to Bobb. “The ten assessments, all clearly important, nevertheless do not constitute all the requirements of the Consent Decree,” Bobb writes. “For FRB to continue to drive change within SPD, the department must take its recommendations seriously, and address them quickly and urgently,” the report says. At a July 18 court hearing, Robart addressed what he described as “rumblings” that the city should be found in full compliance with the consent decree. “It’s not going to happen,” he said. Robart pointed out that Seattle will see a new mayoral administration next year. While saying Seattle police have become a model of how to do things right, Robart said questions still exist, including how the department investigates the Lyles shooting. During that hearing, Robart declined to approve Seattle’s landmark police-accountability legislation, enacted in an ordinance passed by the City Council in May, until he was provided lists of items expected to require bargaining with the city’s two police unions and those that don’t. “The citizens of Seattle are not going to pay blackmail for constitutional policing,” Robart said, adding he wasn’t prepared to approve a work in progress and that the U.S. Constitution trumps any single element of the legislation. Provisions subject to bargaining include replacing uniformed officers with civilians in the internal-investigations unit, tightening procedures for officers to appeal firings and discipline, and creating a civilian inspector-general position with broad powers. The city later provided the lists, renewing its request to move forward with the legislation on the condition it must return to the court for review of any changes to the provisions and their impact on the accountability system. 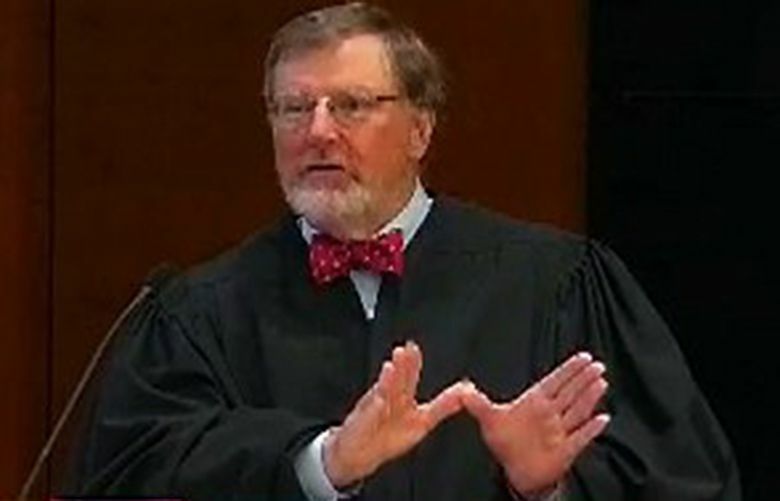 In an order issued Thursday, Robart reaffirmed his previous view that the collective bargaining was essentially a “black hole” and declined to approve most of the ordinance. “Until the collective-bargaining process is complete, the court cannot be assured the Ordinance, as it stands today, is a final product,” the judge writes. But Robart gave the city permission to implement significant parts of the ordinance that don’t require bargaining. He also approved the hiring of an inspector general and a new civilian director of its newly named Office of Police Accountability (OPA), which handles internal investigations, citing the city’s view that those positions are vital to implementation of the ordinance. The inspector general and OPA director need to meet the court’s “standards of independence from the police, community and community groups, and Seattle’s executive and legislative branches,” Bobb writes.